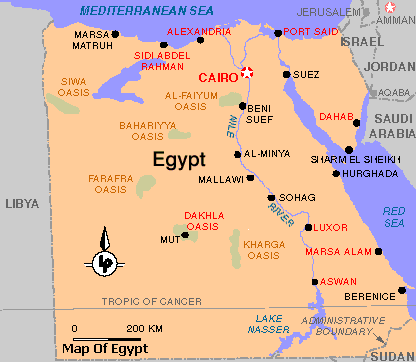 The Western Desert covers about 700,000 square kilometres and accounts for about two-thirds of Egypt's land area. It spans from the Mediterranean Sea south to the Sudanese border and from the Nile River Valley west to the Libyan border. There are seven important depressions within this area and all of these are considered oases (Siwa, El Faiyum, Bahariya, Farafra, Dakhla, Kharga) except the largest, Qattara. 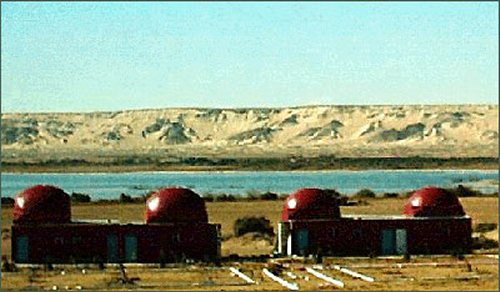 There are also two large agricultural schemes in the south, Sharq Oweinat near the Sudanese border and Tushka near Lake Nasser. if it's your first time in Egypt, or if you just have a few days to see it all, start with this itineraries of must-see sights that's perfect for visitors of all ages. 1- jasmin desert & spa hotel baharya oasis. 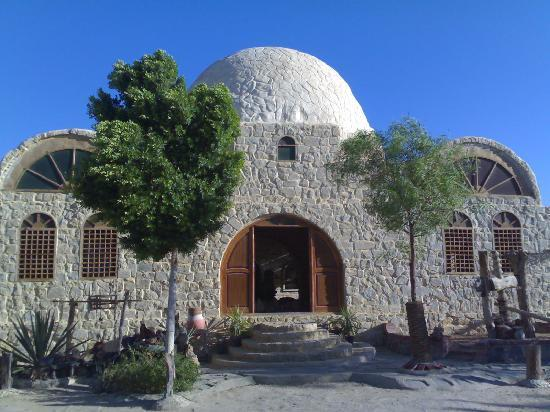 2- EL beshmo lodge hotel in baharya. 3- Qasr el Bawity hotel - baharya. 4- international hot spring hotel. 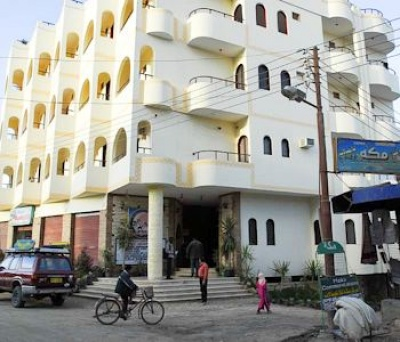 8- 4-star badawiya dakhla hotel. 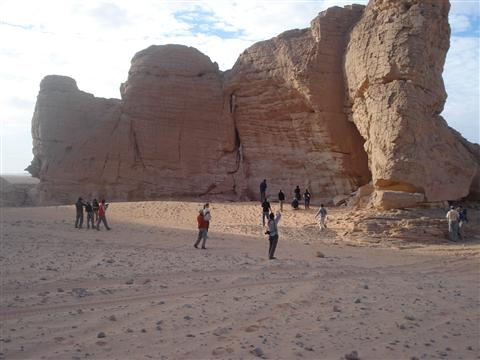 Pick up from your hotel in Cairo, then travel by a modern air conditioned vehicle to Bahariya Oasis. Upon arrival, you'll visit the Golden Mummies Museum from the Greco-Roman period then have a trip to the ruins of the 'English House' with a nice panoramic view over the oasis. Overnight in Bahariya. Meals: Breakfast, Lunch, Dinner. After breakfast, then move onto the White Desert, passing through the Black Desert, a region of volcano-shaped mountains with large quantities of small black stones, and the Valley of El Haize with its refreshing spring. Stop off to see the quartz crystal at Crystal Mountain and the magnificent Valley of Agabat. Camping in the White Desert. Dinner with Bedouin entertainment. Meals: Breakfast, Lunch, Dinner. After breakfast, visit the hot springs and enjoy the beauty of the white limestone rocks in the area. Then returning to Cairo and end of the tour. Meals: Breakfast. 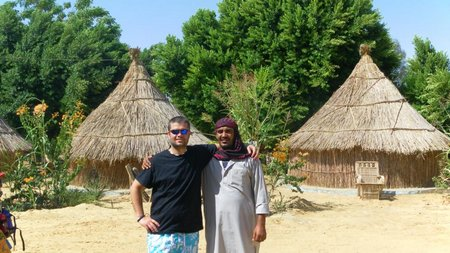 Include: 1 night accommodation in Bahariya camp on FB basis. • 1 night camping out in the White Desert with a Bedouin dinner. • Transportation in an air-conditioned bus as per the itinerary. • Fully guided tours with Egyptologist at all major sites. All entrance fees, services charge, current taxes, portage and vat. In the morning, departure from guests address in Cairo (airport, hotel, home etc) to Bahariya Oasis by bus via the Desert Road. Transfer to Minamar Hotel Lunch then move by jeep to meet the camels on the main road beside Black Desert (40 km from the Bahariya oasis). After getting acquainted with handling and riding the camels we ride to El Akabat, where we will spend the night camping. Overnight Camping. In the morning we ride to the White House. We will pass the famous Mushrooms (sculptures of limestone) in the White Desert. After an unforgettable sunset we enjoy the stew cooked by open fire and sleep under the stars. Overnight Camping. After breakfast we start riding to Wadi El Obaiyed. We spend the day enjoying the impressive landscape of the White Desert. Overnight Camping. After breakfast we ride to the main road, where we say good-bye to the camels and go into the minibus. Lunch in Bahariya on our way to Cairo. Arrival at Cairo before sunset. Transfer to Cairo bus station, catch the air conditioned Bus to Marsa Matrouh, and catch the next bus to Siwa Oasis, meet & assist by our representatives. Overnight Camping. Breakfast, visit Dead Mountain, Siwa House Museum & the Old Fortress of Shali, then the Oracle Temple where you will see the coronation hall of Alexander the Great, and then the ruins of Amoun Temple. Have a swim in Cleopatra Pool, then Dakrour Mountain (famous for its hot sand, the best place ever for sand bath, used as an effective natural cure for rheumatism, rheumatoid…etc). Overnight Camping. Breakfast, afternoon start by car to lakes of Bir Wahed (or Well No. 1) to swim in salt & fresh water. Then the Hot Spring (37 C), stop to collect shells from the Fossils Mountain. Then enjoy watching the sunset from the highest place around Siwa, having dinner around the fire. Sleep overnight in the desert covered by the stars. Overnight Camping. Breakfast, drive over the highest Sand Dunes (approximately 80 M) in the western desert to the east. Swim in Abou-Shrouf, the biggest & cleanest spring (it is sulfured water good for the skin & rheumatism), then visiting Zauton (the Old village of Abou-Shrouf) seeing the Roman Olives’ Oil Press & black Roman Tomb, then the newly found Roman Tombs (full of Skeletons). 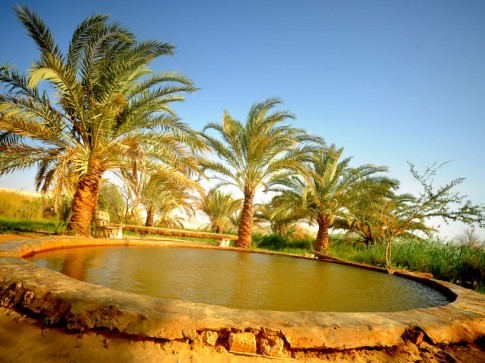 On the way back to Siwa, visit Koraishet Spring & Ein Safi (Pure Spring). Overnight Camping. Breakfast, catch the bus to Matrouh leaves at 10:00 am arrive at 2:00PM, catch the next bus to Cairo leaves at 5:30PM. Arrival at Cairo Airport, assistance and transfer to Hotel. Overnight in Cairo. Departure by jeep to Fayum, an oasis that was cultivated during the reign of the pharaohs. Proceed to Wadi Rayan, where a branch of the Nile pours into the Qarun lake, and then to the National Park of Wadi Heitan. The fossilized bones of ancient sea mammals have given the area its name of "Valley of the Whales". Tent overnight. After arrival in Baharija drive through the picturesque palm groves of the oasis and stroll through the town of Bawiti. Afterwards proceed to the White Desert, overnight. In the morning two hours walk through the White Desert near Wadi Mushroom and its famous mushroom-shaped rocks, with enough opportunities to linger and take photos. Afterwards drive to Farafra, visit to the local museum. You will have the possibilities to bathe in the springs. After lunch drive to Dakhla and visit to the old town of El Qasr with its covered walkways and carved doorlintels. Overnight at a lodge. After breakfast the adventure begins - the jeeps leave Dakhla and go towards the Gilf el Kebir. After hours of adventurous driving the camp is set up at the eastern flank of the plateau. Tent overnight. At first the route passes an ancient volcanic area, the Clayton craters which were formed by gas eruptions. Then we leave the Gilf area behind and go south. In the Karkur Talh or "Acacia Valley" we enter the area of the Gebel Uwainat. Situated roughly at the centre of the most arid area, its height is sufficient to capture a little precipitation from the summer monsoon clouds of the Sahel belt that occasionally reaches this far north. These rains are very infrequent, the last one was recorded in September 1998, and probably as much as 10-15 years may pass without rain. However even this little rain is sufficient to allow some vegetation and wildlife in the larger valleys. Tent overnight. This day is dedicated to the exploration of the area and its rock drawings. In the 1930's Winkler recorded the rock drawings here - the first prehistoric rock drawings ever found in this part of the Sahara. Karkur Talh (Valley of Acacia) offers a very dramatic change in scenery just in time, this valley offering trees, shade, and savannah like greenery. The traces of wildlife scattered all around the valley exposes the presence of a big variety of living creatures. Tent overnight. Today we turn north again and pass the hills of Peter and Paul, ancient volcanoes that are a geologist's heaven, and then to Wadi Sura in the western Gilf el Kebir. There we approach one of the highlights of the tour - a cave with neolithic rock paintings depicting game, domestic animals and humans, among them the famous picture showing swimmers that was first discovered by Count Almassy. Afterwards the tour leads up by the pass of Aqaba on to the plateau. Tent overnight. From the western escarpment one has a singularly beautiful view. We descend into the Wadi Homra, named for its red rocks and sand. This valley also has some prehistoric rock drawings. Night camp in the wadi. Three days of adventurous driving through the Great Sand Sea are one of the highlights of the tour. Single dunes combine to an endless Sea of Sand. Overnight in tents in the dunes. The last part of the tour through the sand sea and then entrance into Siwa oasis, the most remote oasis of the Western Desert. Hotel overnight in Siwa. 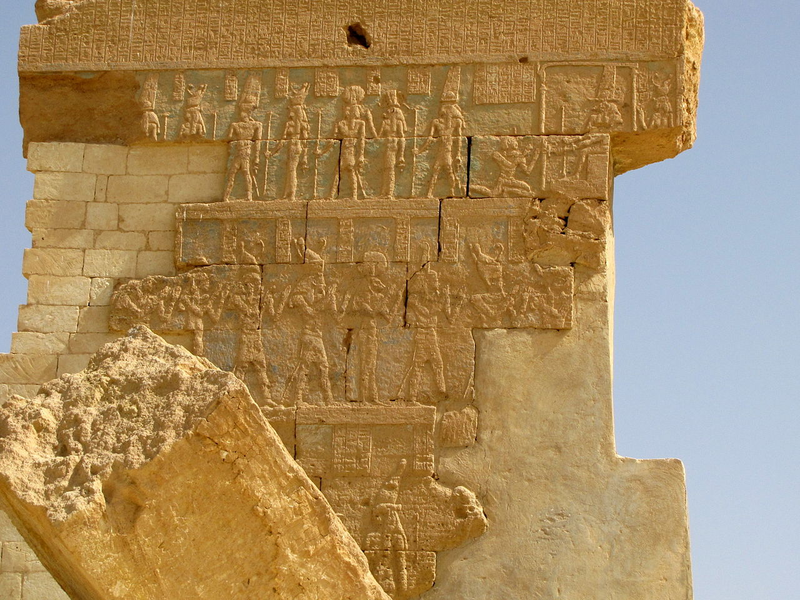 Sightseeing in Siwa: after a stop at the baths of Cleopatra we proceed to the old acropolis of Shali, then to the famous temple of Amun and the temple of pharaoh Amasis, and to Gebel Mawta with its rock tombs. Afterwards drive to Marsa Matruh on the Mediterranean coast. 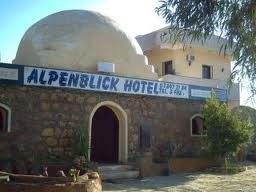 Hotel overnight in Matruh. Early morning departure on the coastal road, passing el Alamein. In Alexandria short city tour, then proceed to Cairo. Hotel overnight. Transfer to Cairo airport and final departure. It is to discover a family company, established since always in the oasis of Baharaya. Talat Abdel Molla and his team know perfectly the lybic desert, their play-ground since decades. They do not leave anything randomly to ensure your safety and your well being. The desert is not to be improvised, and their know-how will please you. Their professionalism, the care taken to the preparation of the trecks, their friendly attention, the family atmosphere of the camp will be for you as many guarantees of a successful and sure stay. The "base camp" of Eden Garden Tours is located outside the city, in the heart of a superb oasis. It offers to you a basic comfort (private cabins in straw and wood, electricity, complete bed linen, shared bathrooms) and is the ideal place for meeting and relaxing before or after the discovery of the desert. 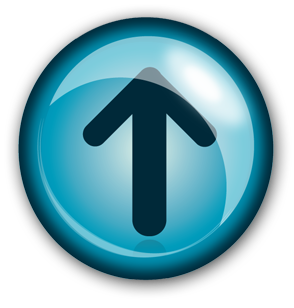 The hot source that you will discover there will provide you one famous moment of well-being ! Bedouin Dinners under the stars... For the amateurs of a greater comfort (air-conditioning, private bathroom...) a more luxurious alternative is also possible. Facilities: 24 rooms: Stay on the A lake that is created from the natural springs, Lake is 2688000 meters (640 hectares). 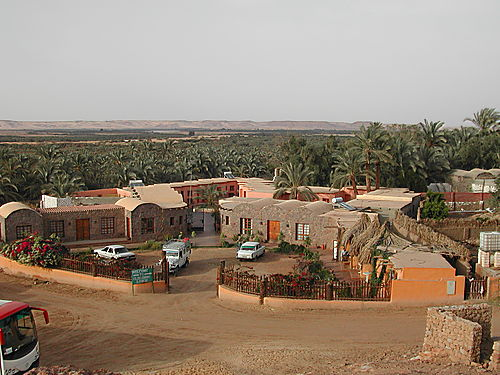 Minamar Hotel is situated in Bahariya Oasis . Bahariya is quiet , relaxing and an adventure destination . 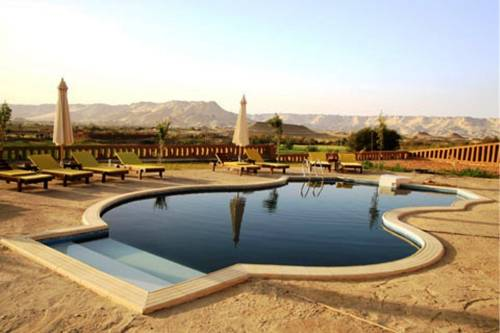 The hotel is nestled between the majestic pyramid mountain of the Western Desert and the beautiful Bahariya Lake . 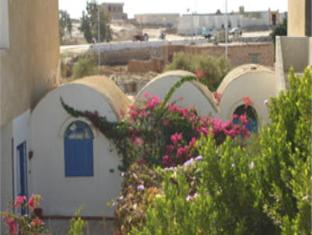 All rooms overlook Bahariya Lake . The Jasmin Desert Spa Hotel boasts a convenient location with modern amenities in every guestroom and superb service. Each guestroom is tastefully appointed with air conditioning, shower, separate shower and tub, balcony/terrace. Services and amenities available for guests at this Bawiti accommodation consist of 24hr room service, bar/pub, laundry service/dry cleaning, restaurant, hotel/airport transfer. To unwind, guests can enjoy the leisure facilities provided on the hotel's property, including massage, garden. These top-class facilities are complemented to excellent services to meet the needs of visitors to Bawiti. 20 Rooms: The Al-Beshmo Lodge is new and located next to the Al-Beshmo Springs. There is a restaurant here, along with some rooms that have private baths, air condition and fans.  All rooms are built with walls made of natural rock over half a meter thick. This eco-friendly design keeps the rooms warm in the winter and cool in the summer.  Being located on top of a tall hill, all of the terraces have spectacular views of the lush palm groves and surrounding mountains. in the center of the Bahariya Oasis 360K west of Cairo. We offers you most of the facilities necessary to make your stay relaxed, comfortable and unforgettable within our desert environment. The hotel is comfortable 10 A/C suites and 25 rooms have bathrooms with hot and cold water provided with fans .you can enjoy staying at the natural huts .the restaurant offers hot meals and oasis traditional food all over the day .The cafeteria offers local drinks .there is a local shop where you can buy a souvenir or hand made staff .there is a large area for camping with bathrooms and electricity . 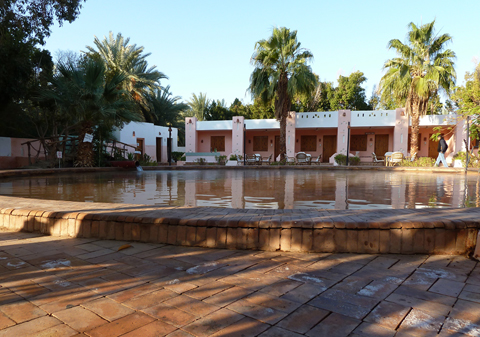 Badawiya Hotel Farafra is a traditional mud brick building with all modern comforts, situated at the entrance to the Farafra Oasis. Our hotel has 12 duplex-style units, eight single-floor rooms and 13 Suites. The numerous seating areas surrounded by bright, flowering shrubs, the covered Bedouin lounge area where you can relax on cushions, and of course the poolside area, encourage rest and relaxation. The staff are genuinely friendly and accommodating. The hotel has a swimming pool, a restaurant, and a rooftop terrace. Our own farm exclusively supplies organic produce for our kitchen. This hotel is the perfect venue for a special celebration. Surrounded by beautiful gardens, the Aquasun Farfra is a secluded retreat located at a short distance for the oasis centre. The hotel is more of a cluster of mud-brick bungalows, housing 25 rooms with bathrooms. All the rooms are equipped with air-conditioning and mosquito repellent devices. 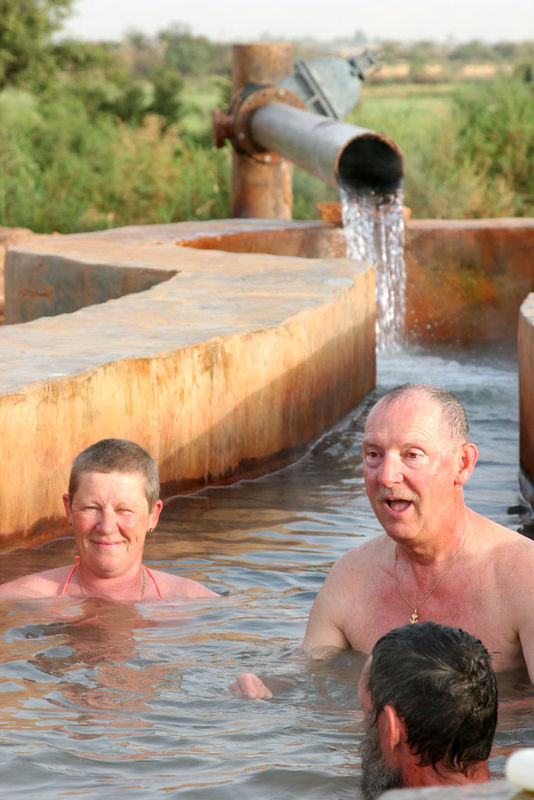 Close to the hotel is the "Bir Setta" hot spring (Well number 6, as some might call it) where you're bound to enjoy extremely relaxing "dips" with the desert as a magical backdrop. The hotel is owned by a desert expert, and the professional desert expedition team will be more than pleased to take you on day-trips through the oases environment. The hotel The hotel has 10 chalets, directly on the hot spring, with private bathroom & 1 villa includes 5 rooms with 3 bathrooms and a seating area. The hotel also has the following facilities : Restaurant, BBQ open-air restaurant,Oriental tent for dinner and events.